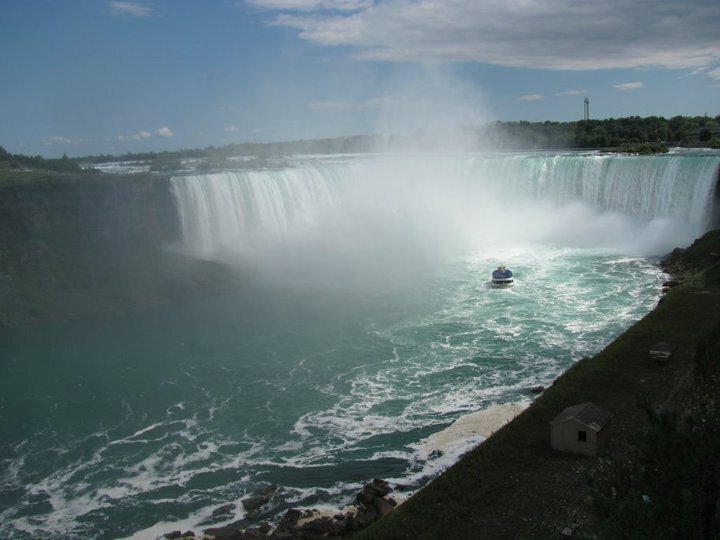 Niagara Falls is the name of the cities on the US and Canadian side of Niagara Falls. They are two different cities in two countries with the same name, but they are right next to each other. This was amazing. I cannot describe how wonderful this was. I would take this ride several times a year if I lived in Niagara Falls, New York or Niagara Falls, Ontario. 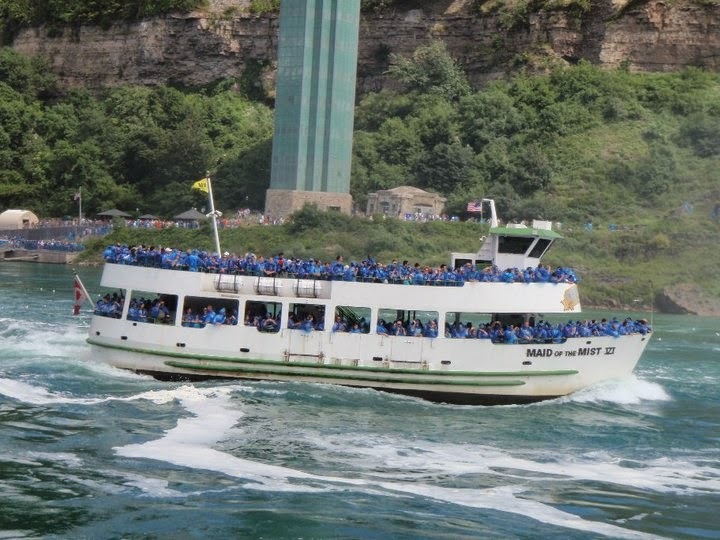 All I can say is go and take a ride on the Maid of the Mist! When you go, try to be the first to stand in the front of the boat on the top-level. That way you have a clear view of the falls. You will also be able to take pictures without being in anyone’s way or having anyone in your way since there is not enough space for too many people to get a good view. And you will be able to look down on the people on the lower level and watch them get drenched. Rain ponchos, you have no power here! There was too much water so I had to put my camera away. I stole Mark’s photos for this blog entry. He has a water-proof camera. There isn’t so much water that you will get very wet, but it is not good for a non-water proof camera. 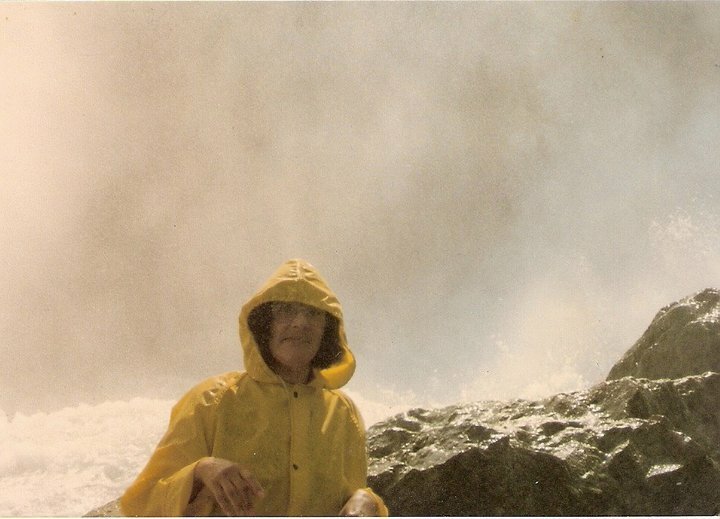 This was not my first time at Niagara Falls. My family took many trips here when I was a kid. But I don’t remember much of them. 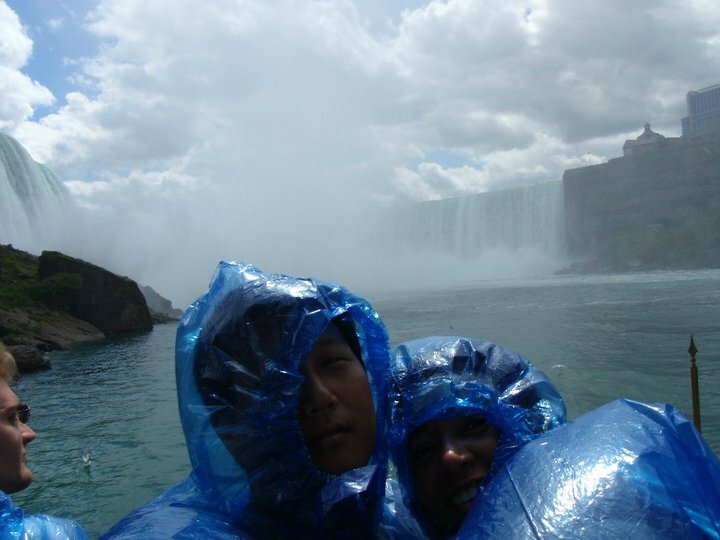 I know that we did go on the Maid of the Mist, because my mom said we did. 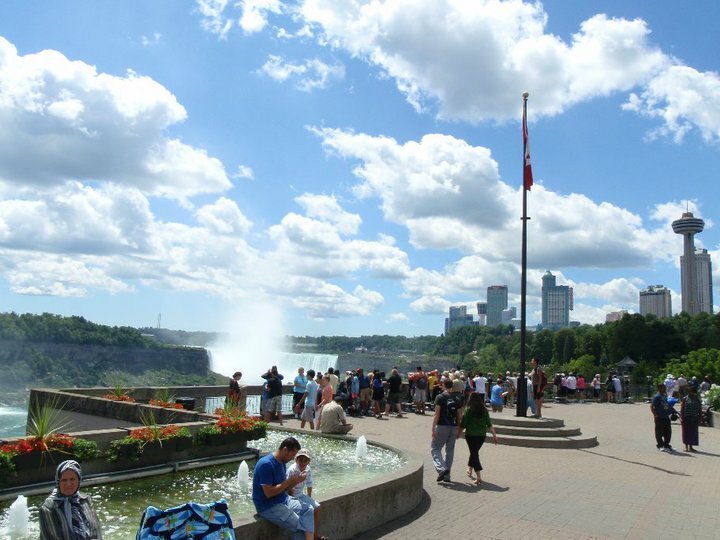 I also know that we saw the falls from the Canadian side with my sister and brother. I remember that I hit him and he picked me up and put me in a trash can that was raised off the ground on a pole and I couldn’t get down. But I don’t remember the falls themselves. 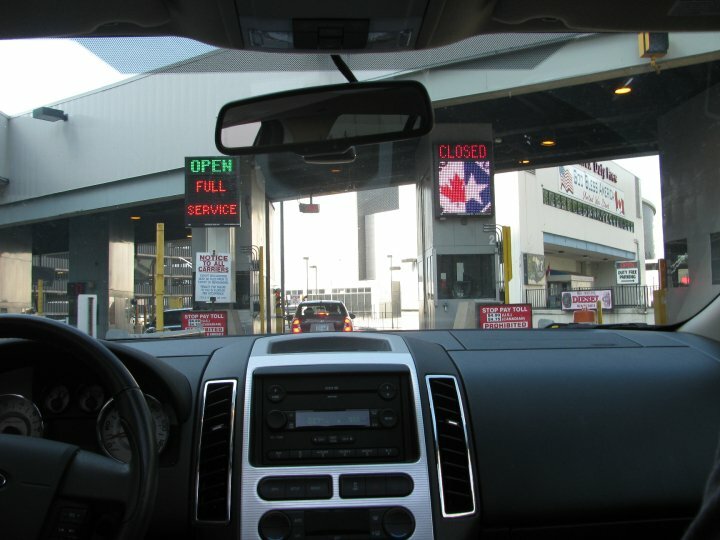 Remember to bring the required documents if you are crossing the US/ Canadian border. Citizens from other countries must bring a valid passport along with another form of ID. Some may also need a visa or other documents. There is a bathroom on the dock before you get your poncho but after you use the elevator. Ask to have the Tourism Improvement Fee taken off your bill anytime you pay for anything in Niagara. Just look out for any odd looking taxes on your bills.